THE SWEDISH POMPEII PROJECT. fieldwork, insula V 1, west facade. Contextualisation is a keynote concept in the design of the Swedish Pompeii Project. It recurs as a common ambition in all separate parts of the project. The focus on context contributed to the choice of study object, a full insula instead of isolated houses, the by far more common base unit in the tradition of studies on Pompeian domestic architecture. The larger frame invites to study interrelation between the houses over time as well as the development of the separate units. 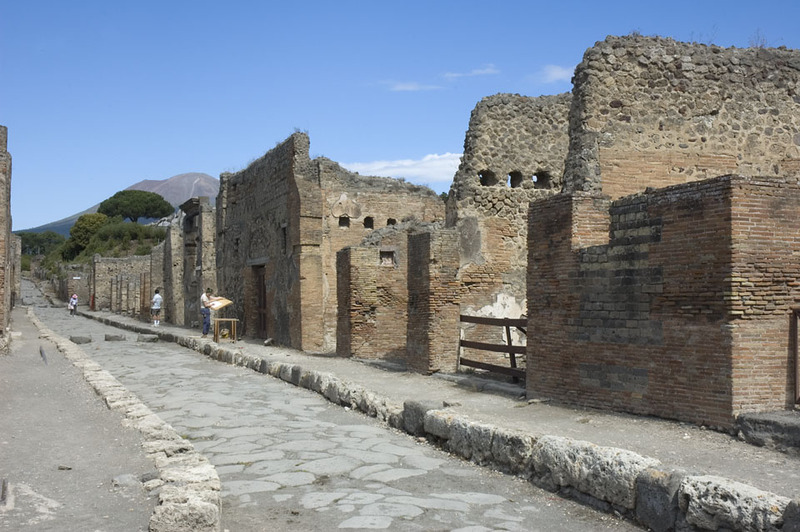 When Pompeian time was arrested, Insula V 1 had known at least 250 years of urban life, during which certain moments brought major changes both in property use and in the arrangement of property boundaries. These changes should be discussed in relation to the general development of the town. Evidence related to the major events in the life of the town, proper to this insula, should be collected and commented upon, just as should all other fragments of Roman life that might still be retrieved through investigation of its ruins. The prerogative for this study is the creation of a new, accurate and thorough documentation. In this research, the question of context is widened. One particular city environment has been chosen for study, not only in its Pompeian translations but also elsewhere, in other places and other times. 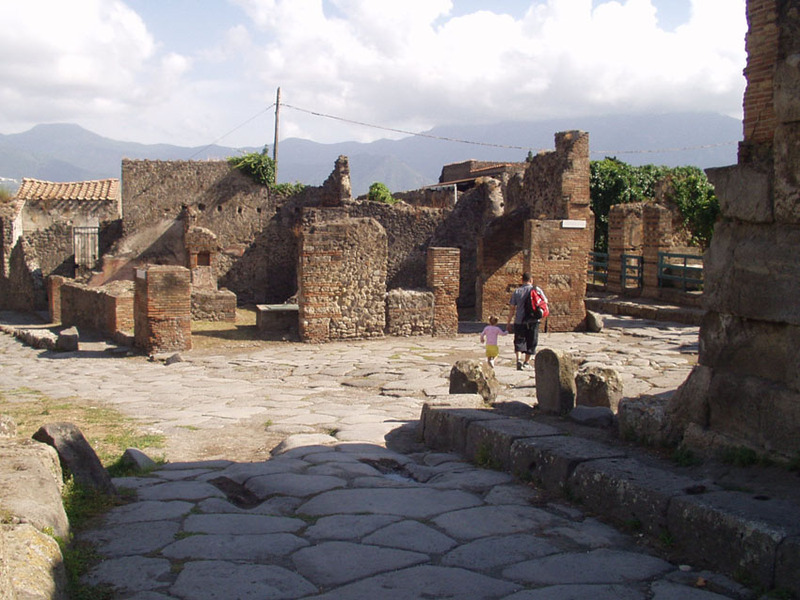 In the case of Pompeian domestic architecture and the city scape in large, such historical analogies has been used as interpretative models for the use of space by Andrew Wallace-Hadrill in his Houses and Society in Pompeii and Herculaneum (1994). In Pompeji, Archäologie und Geschichte (2005), Jens-Arne Dickmann uses examples from contemporary Naples in his attempt to visualise the close coexistence of dwellings and artisans¡¯ shops. The part of the city chosen for our seminar took its point of departure in the location of Insula V 1, not by but close to the Porta Vesuvio. It seemed natural to expect that life within the insula was somehow dependent on the goings-on in the via del Vesuvio leading to and fro the Gate. Furthermore, the city gate is an important area in any ancient city, which has not been sufficiently studied neither in its own right nor in the light of comparative study. The study of Pompeian afterlife aims to achieve three major results. One is to record ancient Pompeian material and Pompeian influences in Sweden from the 18th century to the present. 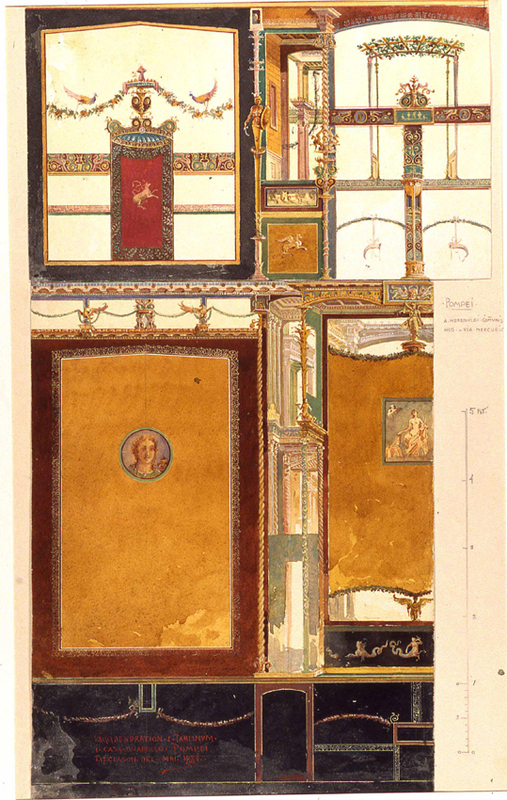 Another is to discuss the motivation behind the references made to Pompeii in classicising architecture and interior decoration. The third is to put the Swedish experience in a larger, international context.